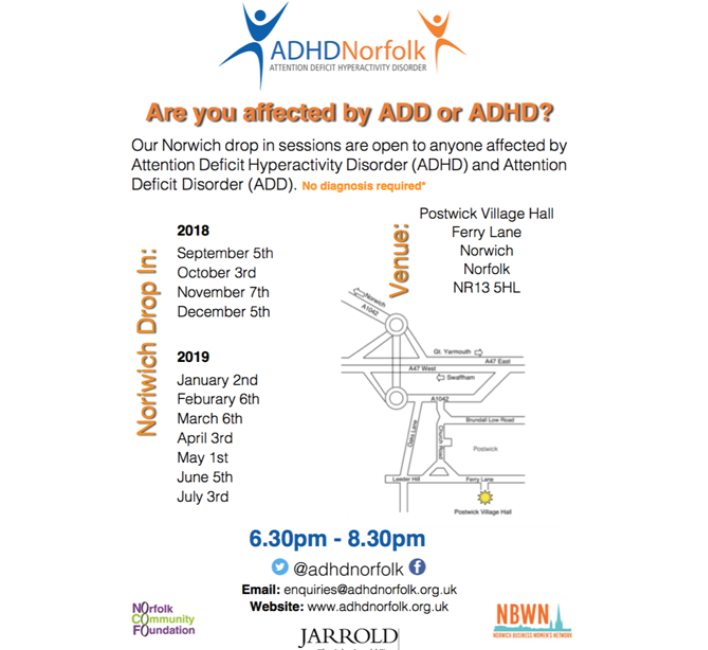 Our Norwich hub has been running now for a few years now and it has been a great place to meet others and listen to some great inspirational speakers. 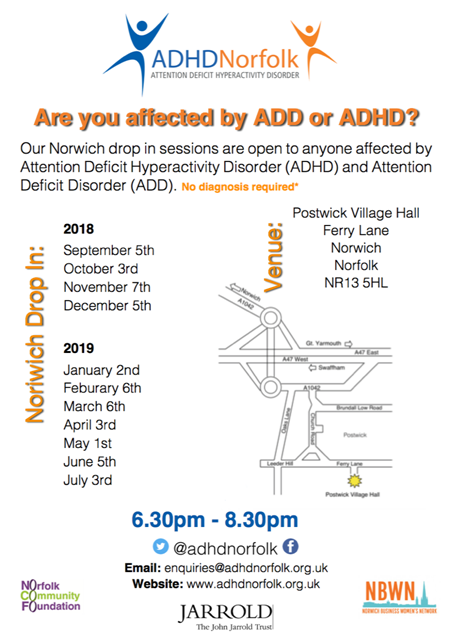 Our monthly drop in sessions are free to come to and are for anyone affected by ADHD – and we mean anyone! 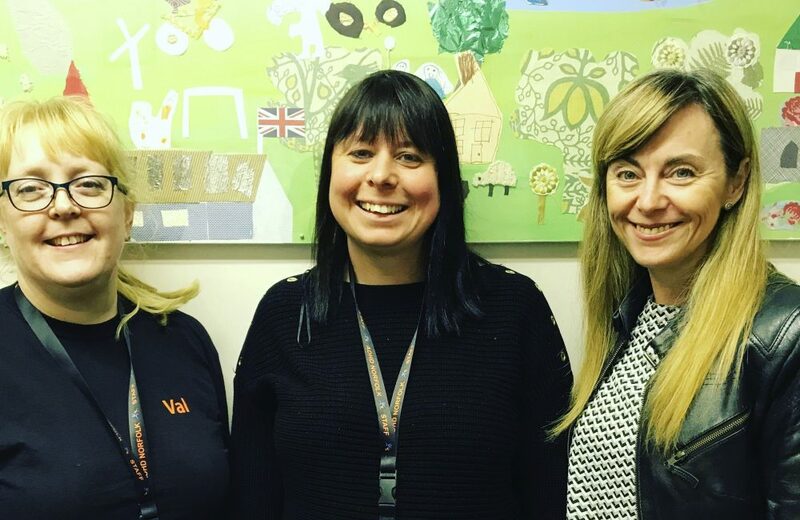 Our team are on hand, ready to listen and signpost you in the right direction.There is plenty of information to take away too and meet others in a similar situation. Children are always welcome too!